Catalogue Essay, Matisse and Picasso, Hammer Galleries, New York. “Jack Climbed up the Beanstalk to the Sky of Illimitableness Where Everything Went Backwards”, Julian Schnabel, Almine Rech Gallery, Paris. Catalogue Essays, Miro, Gmurzynska Gallery, Zurich. Catalogue Essay, “Jasper Johns, Rencontre au Sommet”, PicassoMania, Grand Palais, Paris. Catalogue Essay, Jeff Koons’s Gazing Balls or the Eye of Janus Today and Jeff Koon’s Epic Poem. Almine Rech, Brussels. Catalogue Essay, Robert Rauschenberg: Works on Metal. Gagosian, Beverly Hills. Catalogue Essay, Martin Creed: What’s the Point of it? Hayward Gallery, London. Wild Art (with David Carrier), Phaidon Press. Catalogue Essay, Pissarro, Museo Thyssen-Bornemisza, Madrid. “Jeff Koons: Humankind Before All”, Jeff Koons, Almine Rech Gallery, Brussels. Catalogue Raisonné of Robert Motherwell, Dedalus Foundation, New York. Cézanne et Paris, Musée du Luxembourg, Paris. “The Love of Painting” (with Mara Hoberman), Robert Indiana: Rare Works from 1959 on Coenties Slip”, Galerie Gmurzynska, Zurich. “A Sea of Meanings: Drawings by Robert Morris”, Robert Morris: Drawings 1961, Craig F. Starr Gallery, New York. “Reality Show,” (with Mara Hoberman), Marc Quinn: Allanah, Buck, Catman, Chelsea, Michael, Pamela and Thomas, White Cube, London. “Embodiments of Color,” in Suzan Frecon, David Zwirner, New York. “Joseph Beuys: Set Between One and All”, Joseph Beuys: Make the Secrets Productive, PaceWildenstein, New York. “A conversation: Tim Eitel and Joachim Pissarro”, Tim Eitel, Invisible Forces, PaceWildenstein, New York. “Le de Kooning tardif” in Deadline, Musée d’Art moderne de la Ville, Paris-Musées, Paris. “Representing Limitlessness: Rachel Howard’s Via Dolorosa: Truth is Repetition,” in Rachel Howard, Repetition is Truth – Via Dolorosa, Murderme Publications, London. Vincent van Gogh: the Colors of the Night, with Sjraar van Heugten and Chris Stolwick, co- published by The Museum of Modern Art, New York, and the Van Gogh Museum, Amsterdam. “The Night’s Thousand Eyes”, to: Night: Contemporary Representations of the Night, Hunter College Art Galleries, New York. “Late de Kooning” Willem de Kooning 1981-1986, published by L&M Arts, New York. 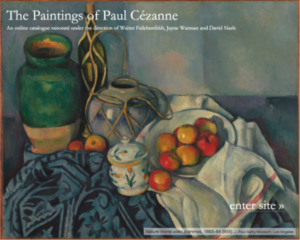 Cézanne/Pissarro, Johns/Rauschenberg; Comparative Studies on Intersubjectivity in Modern Art, Cambridge University Press, Cambridge and New York. Catalogue Raisonné of Camille Pissarro’s Paintings (with Claire Snollaerts), Wildenstein Institute, Paris. 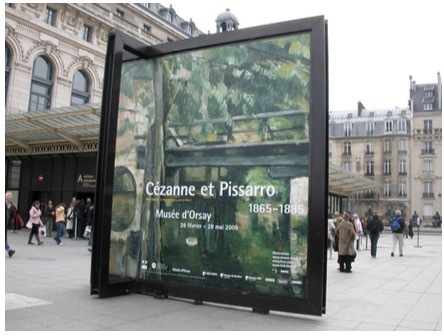 Pioneering Modern Painting: Cézanne and Pissarro, Museum of Modern Art, New York. The Thannhauser Collection of the Guggenheim Museum, The Guggenheim Museum, New York, with other authors. “Jasper Johns’s Bridge Paintings Under Construction,” in Jasper Johns—New Paintings and Works on Paper, San Francisco Museum of Modern Art, in association with the Yale University Art Gallery, New Haven. Introductory essay to Matisse and Picasso, by Yve-Alain Bois, Flammarion, Paris. “Robert Indiana: Signs into Art”, in Robert Indiana—Rétrospective 1958-1998, Musée d’art moderne etd’art contemporain, Nice. Then and Now and Later: Art Since 1945 at Yale, Yale University Art Gallery, New Haven. Monet and the Mediterranean, Rizzoli, New York. “La Main de Giacometti,”, La Main, Institut d’Arts Visuels, Association des Conférences, Orléans. “Pissarro in St. Thomas,” in Camille Pissarro in the Caribbean, 1850-1855: Drawings from the Collection at Olana, The Hebrew Congregation of St. Thomas, St. Thomas, U.S. Virgin Islands. “Pissarro’s Memory,” in Camille Pissarro: Impressionist Innovator, The Israel Museum, Jerusalem. Camille Pissarro, Abrams, New York. The Impressionist and the City: Pissarro’s Series Paintings, Yale University Press, New Haven and London. Camille Pissarro, Rizzoli Art Series, New York. “Y a-t-il une mélancolie impressionniste?” in Esthétique et mélancolie, Institut d’Arts Visuels, Association des Conférences, Orléans. Entries for The Sirak Collection, Columbus Museum of Art, Columbus, Ohio, with Richard Brettell. Monet’s Cathedral, Rouen, 1892-1894 , A. Knopf, New York. Iconographic and editorial research on Pissarro and Pontoise, by Richard R. Brettell, Yale University Press, New Haven and London. “Alanna Heiss with David Carrier and Joachim Pissarro”, The Brooklyn Rail, December. “Sir Norman Rosenthal with David Carrier and Joachim Pissarro”, The Brooklyn Rail, July. “Philipe De Montebello with David Carrier and Joachim Pissarro”, The Brooklyn Rail, May. “Mikhael Piotrovsky with David Carrier and Joachim Pissarro”, The Brooklyn Rail, September. “The Sensual Substance of the Sky: The Art of DeWain Valentine”, Press release. “Massimiliano Gioni with David Carrier and Joachim Pissarro”, The Brooklyn Rail, December. “JEFFREY DEITCH with David Carrier and Joachim Pissarro”, The Brooklyn Rail, October. “Autobiographical Reflections and the Art World”, The Brooklyn Rail, April. “Jeff Koons at Almine Rech”, “Joachim Pissarro in conversation with Jeff Koons”, and “Jeff Koons: Humankind Before All”, Jeff Koons, Almine Rech Gallery, Brussels. “Painter of Lite” (with David Carrier), Artforum, April 2011, page 75. “Adrian Piper: Rationality and the Structure of the Self « , Artforum, December 2009, page 82. “Greenberg, Kant, and Modernism?” Source, Notes in History of Art, Vol. XXIX No.1, Fall 2009, pp 42-48. “Warhol à Paris” a review of “Le Grand Monde d’Andy Warhol,”, at Galeries Nationales du Grand Palais, Paris, March-July 2009, Artfourm, Summer 2009, p 350-1. “Double Review of Molly Nesbit’s Their Common Sense and Luc Ferry’s Le sens du beau,” in The Art Bulletin, March 2002. “Van Gogh and Gauguin: The Studio of the South”, Apollo, December 2001. Article on the Guggenheim Bilbao, designed by Frank Gehry, Apollo, December 1997. “Camille Pissarro, A Case Study in Impressionist Drawings”, co-authored with Christopher Lloyd, in On Paper, December 1997. “Reforming Formlessness,” a review of L’informe, curated by Yve-Alain Bois, and Rosalind Krauss, Centre Pompidou, Apollo, winter 1996.
Review of Claude Monet (1840-1926), Art Institute of Chicago, Apollo, summer 1995. “Mondrian’s Antinomies,” a review of Piet Mondrian, the National Gallery of Art, the Haags Gemeentemuseum, and the Museum of Modern Art, Apollo, winter 1995.
Review of The Origins of Impressionism, Musée d’Orsay, and the Metropolitan Museum of Art, Apollo, fall 1994.
Review of Cézanne Gemälde, Kunsthalle Tübingen, Apollo, May 1993. 1992 Guest-editor of special issue on Pissarro, Apollo, November 1992. “Reading Pissarro,” a review of Correspondance de Camille Pissarro, 5 vols., edited by Janine Bailly-Herzberg, Paris and Pontoise, 1980-1991, Apollo, November 1992.
Review of Henri Matisse A Retrospective, at MoMA, Apollo, December 1992.
Review of High and Low: Modern Art and Popular Culture, Museum of Modern Art, The Burlington Magazine, January 1991.
Review of The Fauve Landscape, Los Angeles County Museum of Art, The Burlington Magazine, February 1991. “Amedée revisited; an article on Ozenfant”, a review of Ozenfant and Purism, the Evolution of a style 1915-30, by Susan L. Ball, 1981 in Art Book Review, no. 3, 1983. “From Caracas to Eragny: an article on Camille Pissarro”, a review of Pissarro by Christopher Lloyd, 1981, in Art Book Review, no. 5, 1983. “The Great Masturbator,” a review of Dalí, by Dawn Ades, 1981, in Art Book Review, no. 5, 1983. “Matisse’s Cézanne vs. Picasso’s Cézanne,” The Museum of Modern Art: Matisse Picasso Symposium, co-organized by John Elderfield and Kirk Varnedoe, March 2003. “If Kant truly was “The First Real Modernist” (Greenberg), what does this say about Modernism?” The Silberberg Lectures, Institute of Fine Arts, New York University, October 2002. Chaired session on “Aragon and Picassso” in an international colloquium on Aragon, Elsa Triolet, organized by the Department of French and the Center for French and Francophone Studies, Columbia University, October 2000. 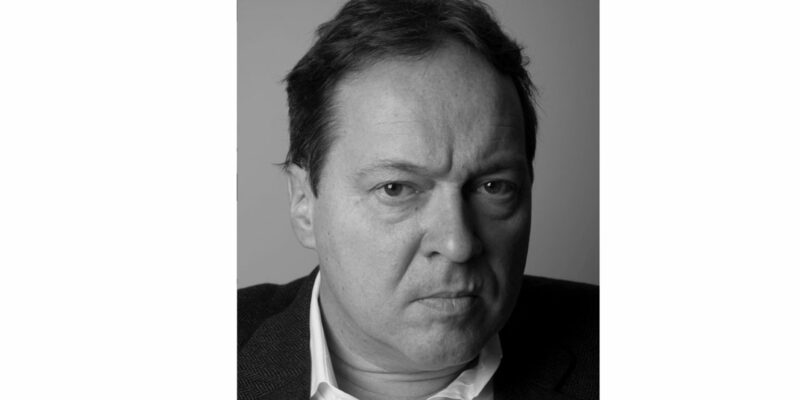 “Gauguin’s Odysseys: From the New World to the Old World, and Back,” series of lectures given under the aegis of both Associations of Yale and Harvard Alumni, Tahiti, Spring 2000, in collaboration with Prof. Robert Woollacott, Harvard University. Curatorial Course: Questions of connoisseurship, conservation, and interpretation around two works ascribed to Pacino da Guida, Yale University Art Gallery, Fall 1998. “Reading Pissarro,” (a comparative analysis of the role of “reading” in painting for Pissarro vs. Poussin) National Gallery of Art. “The Janus Face of Modernism: A Reflection on Louis Kahn Looking Both Ways,” Kimbell Art Musem. “The Paradox of Teaching Contemporary Art – starting with Courbet” Yale University Art Gallery. “Form: Reformation vs. Counter-Reformation,” (a critique of some aporias of post- modernism), CAA, Toronto, February 1998. “Camille Pissarro and Vincent van Gogh: When Did Impressionism Become Post- Impressionism?” Kimbell Museum of Art (repeated in Basel, and Bern in 2009). “Mondrian’s Ultimate Modernism,” Kimbell Art Museum. “Was Monet as Modern as Mondrian?” Kimbell Art Museum. “The Notion of Surprise in Miró’s Sculpture,” Kimbell Art Museum. “Pissarro and Cézanne: The Impressionism of One and the Post-Impressionism of the Other,” a critique of Roger Fry’s interpretation of Cézanne and Pissarro, (a lecture given in several venues). “Degas and Italy: Renaissance and Impressionism,” Kimbell Art Museum. “Why is Maillol Absent From the Modernist Canon?” Kimbell Art Museum. 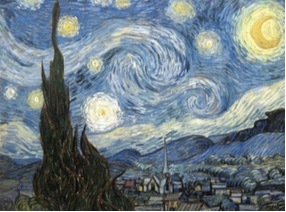 “Impressionism and Contemporary Art: Is the Gap So Wide?” Dallas Museum of Art. “The Subject—its Death and Return—in French Theory,” University of Texas, at Austin, November 1995. “Pissarro’s Modern Memory,” (a reflection on anti-Semitism and anarchism), Northwestern University, Chicago. “Monet and the Mediterranean: the Appeal of the Extreme,” Art Institute of Chicago. Chairing session on « Images de l’artiste », Comité International d’Histoire de l’Art, [CIHA], with Professeur Philippe Junod, Université de Lausanne, February 1994. “Anarchisme et sérennité: le cas Pissarro,” Université de Berne. 1992 “Monet’s Cathedrals,” National Gallery, London. “Pissarro’s Working Methods,” National Gallery, London. “Pissarro’s Politics and Poetics,” Birkbeck College, University of London. “Y a-t-il une mélancolie impressionniste?” Institut d’arts visuels, Université d’Orléans.